After All Day Breakfast, may we ask for All Day Burgers please? 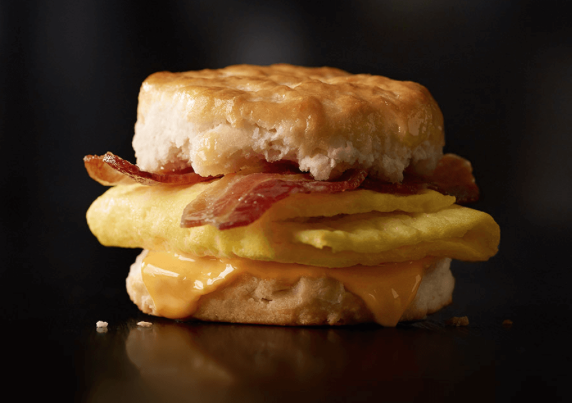 Here in the US, sometime in 2016, McDonald’s surprised everyone by adding “All Day Breakfast” items to the menu. Now we can order egg burgers around the clock, 24/7, every day of the week, at any time we please. Previously we were always restricted to very awkward breakfast times that seemed to change arbitrarily: some stores started breakfast at 4am, others at 5:30am, and the offering ends either at 10:30am or 11am. Or something. And of course during breakfast hours, you can only order breakfast items – nothing else. As I understand it, this was a technical limitation of the kitchen, in which equipment had to be re-purposed to either be an egg fryer or a burger fryer. Or something along those lines. It was not technically possible for McDonald’s to serve both breakfast and burgers at the same time, so it was one or the other. Since 2016 and the big “All Day Breakfast” move however, things are different. I don’t know how they do it, but now you can order almost the entire breakfast menu during lunchtime, in the evening or in the darkest night. Add that Egg McMuffin to the Quarter Pounder, or have your Big Mac with a Sausage McGriddle. You can even wrap your Chicken McNuggets in Hotcakes and dip it all in syrup if you like. Excellent! 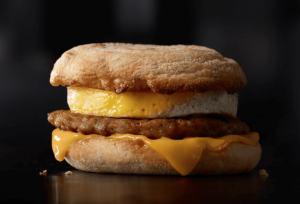 This is great news for all of us who have McDonald’s breakfast on their minds, but arrive at the store at 11:02am, where in the past our hopes and dreams would be shattered to get those soggy Hash Browns with an Egg Burger and orange juice. Not anymore: come in for breakfast anytime, to any McDonalds. So the breakfast lovers are all taken care of. How about the burger lovers though? If they can cook breakfast while they’re cooking burgers, how come they can’t cook burgers while they’re cooking breakfast? Isn’t it EXACTLY the same setup in the kitchen? I’d even be happy with – much like the All Day Breakfast menu – an abbreviated burger menu that offers perhaps not every single option, but many of the classics. 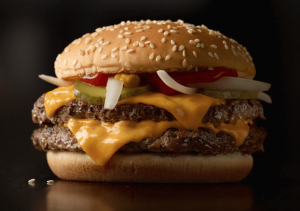 The Big Mac, the Quarter Pounder, the Cheeseburger with all its varieties, as well as fries? People like fries for breakfast sometimes. Forget the Chicken McNuggets at 6am, or the Crispy Chicken Super Deluxe whatever sandwich, but give people their burgers at 6am. C’mon McDonald’s, we know you can do it. You’ve proven it by cooking breakfast sandwiches at all hours of the day. Now prove to use you can also make burgers between 4am and 11am! We know you can – but we suspect you just do’t want to. Anyone have a reasonable explanation for the lack of burgers during breakfast hours? Please leave a comment, I’d love to know what’s really going on here!